I first met Amy Fox when she de-lurked on the Museum Computer Network listserv. She describes herself as having a "unhealthy obsession with Twitter." Indeed, her first post summarized some observations from her research on how museums were using Twitter for her masters thesis. I am a University of Washington student currently writing my thesis to complete my MA in Museology. I'm fascinated by social networking and am interested in finding ways for museums to appeal to all types of people. Somehow that morphed into my thesis topic. 2. What is your thesis about? Broadly, I'm researching how museums are using micro-blogging. This has been narrowed to a focus on Twitter since that is where the most activity is concentrated at the moment. The goal is to identify and analyze how museums are using Twitter and suggest best practices as well as some possibilities for the future. My research has been in three areas, first finding and following "official" museum Twitter accounts and tracking subscribers, followers, number of posts and other measurable data. The second part of my research has been analyzing updates, or tweets, and identifying categories. The final section of research is a survey completed by sixteen museum professionals involved in their museum's Twitter account. I have also been following public Twitter updates that include the key word museum using Twitter Alerts. 3. What are your best twitter tips for museums? For anyone just starting out, first try Twitter for yourself. Then set up an account for your museum and follow a few other museums as well as people in your target market using a search for location or interest keywords. Decide what you want to accomplish with this account. Do you want to start conversations? Do you want to post updates about events? Trivia and information? Will it be another RSS feed? I suggest a mixture of all of these, but do whatever feels comfortable and whatever best fits into your mission. Then start to update. Try using the @username feature to start conversations with your audience. I think using a mixture of types of tweets is a good strategy because sometimes the same type of message over and over can be monotonous. One example is simply turning a Twitter account into an RSS feed. If followers already subscribe to your blog and you only tweet blog posts, there is no reason for them to follow you on Twitter. Similarly, only updating with event reminders leaves little room for follower interaction. The more types of updates you mix in the more interesting the feed becomes. The number one thing I think museums should remember about Twitter is that following works both ways. Many people don't follow their followers. For a popular bloggers or other celebrities, this is understandable, the volume is simply too large. But for museums and public institutions like libraries and other nonprofits, it is so important to subscribe to their followers and take a look at what they are saying. It's free insight into their follower's daily lives. I see a lot of museums following their colleagues and other museums. Sure, museums should follow other museums, it's a good way to see what their peers are doing and bring traffic over to their own page. 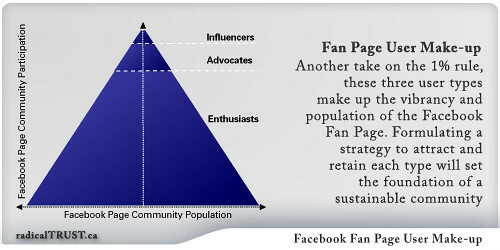 But don't forget your target audience, followers/visitors. Finally, make sure that your museum's full name is in your bio, especially if your username is an acronym. You might also consider throwing in some key words to make sure you show up in searches. The two most common tweets are event reminders and automatic RSS feed updates, but museums are also tweeting with podcast and video links, updates on exhibits or animals, fly on the wall observations from inside the galleries among others. Some examples that I found looking through the most recent pages of my Twitter feed include the Women's Museum asking followers for input, the Exploratorium linking to news that relates to their museum, The Pacific Science Center's Science Calendar trivia of the day, an animal update from Monterey Aquarium, and the San Francisco Zoo interacting with followers/visitors. 5. If I'm a museum staff person and want to connect with my peers on Twitter, what's the best way to do that? Well, all I can suggest is my approach. Make sure your profile reveals that you are a real person interested in museums so when you start following people a quick glance at your profile explains why you are following them. Then start by searching for keywords such as "museum" and make note of both museums and individuals whose profiles look interesting. Look to see who follows these users and whom they follow and start adding people. I had an e-mail exchange with a museum staffer who started an account for their museum and began to follow 500 people in a manner of days. They had no updates of their own and no information in their profile, so unfortunately they were identified as a spammer and the account was suspended. So, I suppose the moral is to have a profile, be active with updating and to be selective when building your feed. I'm not very good at being active or interacting, so I have to remind myself to do both. 6. Who are the five most interesting Museum twitterers? As cliché as this might sound, it was really difficult to choose five. My criteria are diversity of topics and frequency of updating, as well as the overall tone of tweets. Five museums that consistently provide interesting, varied content are Renton History Museum (@rentonhistory), the Exploratorium (@Exploratorium), The Women's Museum (@The WomensMuseum), Life and Science (@lifeandscience) and the San Francisco Zoo (@sfzoo). 7. What is the best of the best how-to advice out for using Twitter? 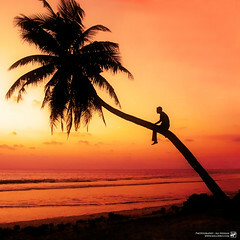 I like Mashable and Tweet Crunch for the latest news, ideas and applications. Nina Simon's Museum 2.0 has a couple good posts about Twitter and museums. And I recently discovered a collection of Twitter suggestions sprinkled around the web titled "Twittn' Secrets." I have not read all of them, there is some good advice in there, though some of the suggestions may not apply to museums. I am always discovering new resources, there is so much out there that it is difficult for one person to keep on top of everything. Should there be a nonprofit and social change category on Digg? (Digg it here). That was the conversation in the nonprofit, nonprofit technology, and social change social media space. Here's a summary of the distributed conversations, some context, and some questions. 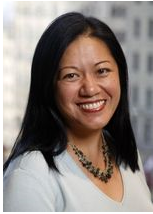 Back in the early days of Web 2.0, nonprofit technology thought leader Marnie Webb created the NpTech Tag as a way for nonprofit techies to share bookmarks on del.icio.us. Marshall Kirkpatrick, who was working with Netsquared, whipped up the NpTech Metafeed which allowed folks to aggregate items tagged by nonprofit techies from many distributed sources. As the volume of information increased, weekly summaries were added to the mix. The result of these ad hoc collaborations was a folksonomy of terms of nonprofit technology related news and a community of taggers. Most recently, Marnie Webb created a Yahoo Pipe of the NpTech Feed and runing it through AideRSS to sort it by popularity. And Jonathon Colman created the NpTech FriendFeed Room. And, of course, one of the community ad hoc collaborations incorporated Digg or a "Digg like" ability to crowdsource news items. 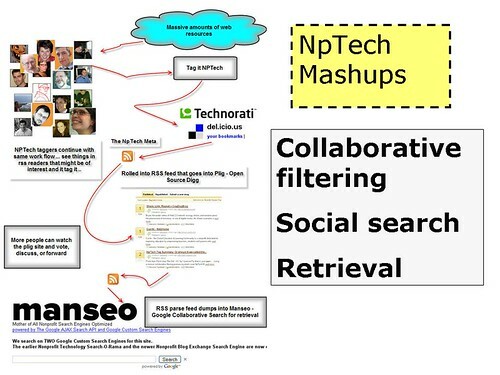 Allan Benamer put together an NpTech version of Digg, using open source software called Pligg combined with a Yahoo Pipe of the Nptech feed. These early experiments were about how to crowd source, aggregate, and share nonprofit technology news using web 2.0 tools. To get a zeitgeist of nptech. 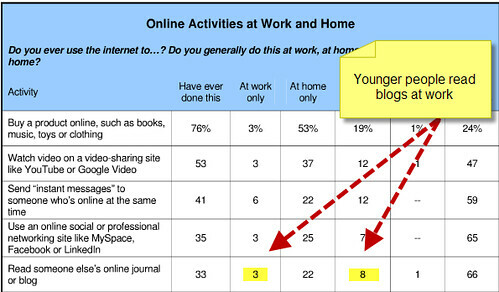 Others who work in the nonprofit sector, perhaps mostly gen y, turn to Digg for news. Last week, Ashley Messick brought up the question, "Should there be a nonprofit and social actions category for Digg." She notes that she often is frustrarted because she can't find nonprofit news on Digg because there isn't a specific category. Today, the Wild Apricot blog continued the discussion about "Should Digg Have A Nonprofit Category?," making the point that nonprofit news on Digg gets lost because a) demographics and b) site structure (no specific category.) Social Butterfly, back in June, also voiced this complaint which was echoed in the comments by her readers. The nonprofit community hasn't been served well at all by being lumped into a single category named for their legal structure. It completely obscures the contribution each organization makes uniquely to every single Digg category . . . Action category could make sense, but if the idea is to pepper all of our daily goings-on with opportunities to seamlessly take action so whatever issue we're impacting moves in a positive direction (regardless of whether that action is nonprofit-, CSR-, or especially "none of the above"-related) it might be cooler to 1) encourage Digg to display related ways to take action on things that have been Dugg, and 2) encourage Digg functionality on all of the campaigns created on social action platforms. As noted on Wild Apricot, last week’s announcement of a $28.7 million investment in Digg is intended to fuel Digg’s plans for customizing the Digg experience, enhancing the recommendation system across other areas of the site, creating deeper category and topic content views and more ways to discover and organize content. This might bode well for a nonprofit and social category on Digg or other ways. What's your take on how the nonprofit sector uses Digg? What's your take on how the nonprofit sector can use Digg? Should there be a nonprofit and social change category on Digg? (Digg it here). A few months I created a workshop called "Be Prepared For Social Media." So, what came to mind? The Boy Scouts and Merit Badges. After wasting way too much time browsing Boy Scout badges, I put together the above slide show introduction. However, right before the workshop I got a list of participants and realized that it was not the right metaphor for some participants signed up for the workshop and might even be offensive. So, I ditched it. My colleagues, Connie Bensen and Shashi Bellamkonda sent me this link to PopCorn Kids from a 10 year old cub scout who is selling PopCorn to help feed hungry kids through Feeding America. So, since I'm trying to raise little money myself for a food bank thought I'd blog this. What advice would you offer this budding ten-year philanthropist? Is there a merit badge that needs to be on the list so your nonprofit can be prepared for social media? Jay Cross is making a point (couldn't resist) about Twitter by referring to the art work of Georges Seurat who was a pointillist. 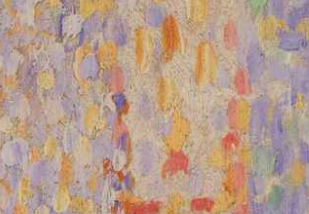 Twitter is like pointillism. Up close it can be meaningless. Back away and a pattern emerges. Your subconscious shapes an image of the person from the Tweets. The whole is a phase change from the sum of the parts. Stepping back and seeing patterns is an important skill when you use Twitter, particularly as a listening tool. That's why I like to grab a search feed from Twitter for topics that I'm monitoring and then step back and see the patterns. I recently came across this tool called "TweetBeep" - which is described as google alerts for Twitter - it sends you emails when someone mentions you on Twitter. I thought this might keep you from seeing the forest through the tweets - or get in the way of pattern analysis. But, if you wanted to be monitoring in real time and you lived in your email - then this would be a good tool for the job. And while I'm on the topic of pattern analysis and stepping back, Chris Brogan has some advice about how to self-monitor your tweeting. Post the occasional tweet about a particularly good blog post to Twitter. Do this at a rate of about 1:12, meaning one post about your stuff to any 12 tweets about other people’s stuff. This will keep people a bit more interested in your stream as something of value, versus a “mememememe” type of Twitter user. Bryan Person has started the Twitter "MeNotMe" meme in which has analyze his last 100 tweets categorizing them into me (personal), not me, me (professional - about work). I think he needs to come up with a rating scale of egotism (see the definitions here). This week, we're talking about Module 5: Social Networks (and widgets) for Community Building, Taking Action and/or Fundraising. This module takes a look at ways that you can build an online community, engage people and inspire them to take an action, or raise money using social networks and fundraising tools. We looking for tips, examples, and resources. What are the best getting started tips for using Ning or LinkedIn for community building or sharing knowledge? What are the best getting started tips for using Facebook or MySpace for engaging people and inspiring action? 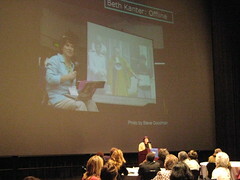 What are the best getting started for using fundraising widgets and social networking fundraising apps for fundraising? What are the best examples from nonprofits? What are the best of the best resources? I'm particularly excited about this module because we have a lot of expertise and knowledge in the WeAreMedia community. Help build this module by visiting the wiki and share what you know! The module page is here. Once a month, my kids' school holds a school spirit day which includes a school-wide community service project. The younger kids are asked to bring an item in that is donated to a local community group in need. For October, the school is requesting donations of canned food for the local food pantry. "With living costs soaring, many local families are struggling to makes ends meet, and nowhere can it be seen with more clarity than on the lengthening lists of people being helped by the local food pantry." Hunger is not only local issue, but also a global one. So, while we were in the grocery store picking up some extra canned goods, I was thinking about the different hunger awareness campaigns that have come across my email this past week or two - and wondering how I might creatively take some personal action myself (beyond buying a few extra canned goods during our weekly grocery trip). Then I remembered the invitation to participate in the Weight Watchers Lose for Good, a campaign created to empower people to get healthier while also giving back to others in need. The program addresses two global epidemics – obesity and chronic hunger and malnutrition. For every pound lost with Weight Watchers during a six-week period, beginning September 7 and ending October 18, Weight Watchers will donate the cost of one pound of food -- up to one million dollars. The funds will go to two hunger-fighting organizations: Share Our Strength, which works to make sure no child in America grows up hungry, and Action Against Hunger, which provides immediate and long-term solutions for hunger to people around the world. So, I thought - why not drop that ten pounds that I've been meaning to lose and help some other folks too? I signed up. I also kept thinking about the inspiring social media infused fund raising that Connie Reece, David Neff, and Mike Chapman (through the local Austin Social Media Club and 501 Tech Club) have been doing for the Austin Foodbank. I also wondered if there were some ways that I could support this issue that were more immediate than losing ten pounds? I also kept thinking about strategies to keep in me on track to lose for good. I set up a campaign over at ThePoint. If I lose ten pounds, the Austin Foodbank will receive a donation. What's cool is that you can pledge a donation too, but you don't have to pay unless I lose the ten pounds. I figure that ought to give me some will power. I've set up a the Social Actions Twitterfeed to search and post for hunger related campaigns and actions. The Social Actions Twitterfeed will search through 24 platforms for hunger related campaigns and automatically post them to my automated twitter account. (I have two Twitter accounts - one for relationship building and one where I will post automated feeds. I'm mostly doing this to test out what the Twitterfeed can do. This was soooo much easier than resisting chocolate. All I had to do was leave a comment on this post. For every comment on the post receives, Tyson Foods will donate 100 pounds of high-quality protein (up to a total of 200,000 pounds) to the six Bay Area food banks. So, leave a comment and let them know that Beth sent you. Blog Action Day is an annual nonprofit event that aims to unite the world’s bloggers, podcasters and videocasters, to post about the same issue on the same day. The goal is to raise awareness and trigger a global discussion. The focus is on poverty reduction and certainly hunger awareness is part of that theme. How else would you take action against local or global hunger issues? What are the best examples of hunger organizations using social media to raise awareness or dollars for this cause? Breast Cancer awareness month (October) is just around the corner! And here's another clever online fundraising strategy for breast cancer. I like it because it combines education, a personal story, and a click through model for donations. I heard about it because it turned up in one of my friends activity feeds on Facebook. 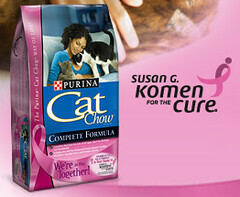 If you go to Purina Cat Chow's web site & take a test on your knowledge of breast cancer they will donate $1. to the Susan G. Komen Foundation to support breast cancer research. There are only five questions and they are not difficult. What's the connection between cats and breast cancer? You'll have to read the story about how one woman who was struggling with breast cancer got some extra TLC from her cat. As many of you know, I'm more of a dog person than a cat person, but I thought this was a great example of encouraging deeper engagement with a cause, disease education, and online fundraising. The Leukemia & Lymphoma Society has just launched a campaign to raise $100,000 in 100 days and is using a gaming platform, PledgePlay. It's an online casual gaming platform where the money used to purchase "tokens" to play games is donated to LLS. Social Actions has a great list of links about other platform developments, resources, and news happening in the fundraising 2.0 arena. Here's three themes worth reflecting on. London Fundraising Summit took place last week. It focuses on relationship building -- very important to any fundraising success -- both online and offline - and regardless of tools. Amy Sample Ward who has recently moved across the pond gave a presentation about online engagement She makes a point about connecting social media strategy with traditional strategy with her phrase - conversations and conversions. For more, read her notes here. I've been watching Dave Cohn (aka DigiDave) now for a few months now. His project is “Spot Us” allows an individual or group to take control of news in their community by sharing the cost (crowdfunding) to commission freelance journalists to write important, or uncovered news stories. 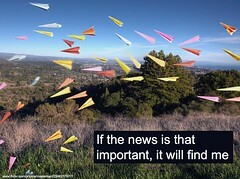 Dave is using distributed networked fund raising approach, but connecting it to specific outcome - journalism (see slide 19) In this post, he describes the soon to be launched site. 3. When will relationship begin online and enhance offline activism on Facebook? The debate wasn't about whether Facebook would replace face-to-face real-life interaction in terms of organizing activities. The debate was about whether Facebook is a tool soley to maintain relationships with people you already know offline. That is it can help you augment your close personal connections. Or whether it can be effective to help you find people that you don't know face-to-face who are passionate about your issue, convert them to your cause and get them to attend an event or action offline.. That is the relationship begins online and leds to offline activism. There hasn't been a lot of that yet, but with new features integrated in Causes/Facebook more of that is in the future. The PhilanTopic Blog also shared some notes from the session. Should there be A Nonprofit and Social Change Category on Digg? I wanted to Digg post about Save the World with Twitter and wasn't quite sure how to categorize it when submitting. It then got me thinking that I often am unsure where to go on Digg to find good nonprofit news. I try to just use the search function or rely on shoutouts. It made me think that it would be great if Nonprofit had its own category on Digg. I think there's enough news and stories out there (my Google Reader's full of it!) to merit something. Wouldn't it be nice to have a place in Digg for nonprofit news? So I sent an email to Digg and the response suggested that maybe a good idea would be to have someone blog about the idea and have us all Digg it to show Digg that there is a real community out there who would love to have a Nonprofit section. What do you think? Let's start a nonprofit Diggfest? I remember how disappointing it was not to see this post about Social Actions Ad Widget not make it to the top of Digg. Do you think with a nonprofit category we'd have a better chance of getting social action alerts and news rising to the top of Digg? Project 10100 (pronounced "Project 10 to the 100th") is a call for ideas to change the world by helping as many people as possible. Here's how to join in. We'll post a selection of one hundred ideas and ask you, the public, to choose twenty semi-finalists. Then an advisory board will select up to five final ideas. Send me a reminder to vote. 3. We'll help bring these ideas to life. We're committing $10 million to implement these projects, and our goal is to help as many people as possible. So remember, money may provide a jumpstart, but the idea is the thing. Joe Solomon set up a Facebook Group called Save the World With Twitter. The play on words with the title reminded of something a few years ago when nonprofit techies were looking at technology outcomes. We asked, "How many whales did you save with that web site?" It sparked a debate - that the technology, in of itself, doesn't create the change, but may help facilitate it. So maybe the question should be, how many whales did you save with that Tweet? Or rather, how do we measure the value and effectiveness of Twitter? What do we measure? What does it mean? Right now we're in the collecting great stories mode ... and of course, we can track web site or blog referrals from Twitter (traffic) and possibly sign ups for an action. Paul Young's analysis of what worked, what didn't in his fundraising campaign can give you some hints of what to measure. Net2ThinkTank: How Can Nonprofits Use Twitter? This is a great list of links and will be valuable to add to the WeAreMedia Starter Tool Kit. 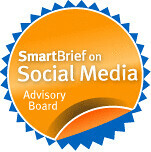 I'd also like to point two modules in the WeAreMedia that put Twitter in the context of nonprofit organizations - see Join the Conversation (be sure to read how the Chronicle of Philanthropy uses Twitter for crowd sourced research) and Listening Is the First Step for many examples of using Twitter for listening, that first important strategic step. What's missing from this list? What else would you like to see from a Twitter Resource page to help your nonprofit use it strategically and effectively? The Internet enhances key values that motivate women to give. This includes impact, inspiration, information, inclusion, and interaction. The have also launched an Online Resource Center which profiles 10 Web 2.0 Tools and how they are being used to engage women in political giving. I'm honored to a few of my resources included. There is a section on how to use Sprout and Chipin in for fundraising -- so I'll take this opportunity to mention my ChipIn Case Study about sending a young woman to college and my personal fundraising wikispace. Come join me in a discussion about how to effectively pump up your professional network with social networking tools over at Social Edge beginning on September 23rd. Professional networking --meeting and connecting with people who can help you get things done-- is an indispensable skill for social entrepreneurs. Using online social networks like Facebook, LinkedIn, and even Twitter can help you reach your networking goals. 1. Meet people as people first. I borrowed this phrase from Connie Bensen, a social media guru who writes about networking 101. It is the quality of the relationships that you build online that really matters, not just how many people you meet. Don¹t always ask people to help you or give you something every time you interact with them. And please don¹t make that your first point of contact with someone you have just met. That's a huge turn off. It¹s important to be helpful, share resources and connect people to other people. Social networks, like Facebook and Twitter, let you glean a lot of information about what your friends are up to or might need. Set aside some time to check status lines and think about how you may be helpful to them, not the other way around. It¹s like putting money in the bank for a rainy day. You will be surprised in the many ways approaching your network this way will reward you. Uplift people in your network when they need it and they will do so back. Take every opportunity to keep connected to people in your network. It is like tending a garden. resonated. Here's some wonderful conference networking hacks from Chris Brogan. Liz Strauss says: "Meet your friends by noticing people who have ideas that intrigue you and begin by asking them to elaborate on what they said." No matter how busy I am, I try to connect with new people each week. I also get lots of new ideas by connecting with people who are outside my main industry or topic area. Life can get boring if you get stuck in a silo or only interact with people who think just like you or cover the same topics. Be a renaissance, cross-disciplinary networker. Think creatively about the new types of people and connections you want to make. Think outside your subject matter area. There are many reasons why it is important to invest in your network before you need it. As you¹ve probably gathered from reading the other tips, building a vibrant professional network is doesn't happen over night. People don't easily trust people who come asking. - What works for you? - Do you have any advice about using online networking tools? - What type of expertise or connections have you found through networking? - What kind of connections has proven more difficult to make? Come join in a discussion of this topic over at Social Edge this week. 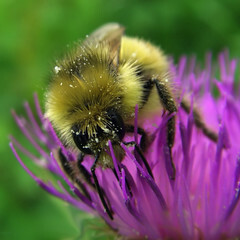 WeAreMedia Module 4: Tips for Generating Buzz - Crowdsourced in a few minutes via Twitter! WeAreMedia Module 4: Spreading Awareness and Generating Buzz, is about how social media tools can help you spread awareness and generate buzz about your organization's programs or campaigns. What happens is that you share your message with enthusiastic supporters and they in turn may choose to pass it to others with a similar a interest in your organization or campaign. But first, you have to build trust, credibility and -- most importantly -- a relationship with those who might interact with your posted content. Using social media to spread awareness is an excellent method for generating web traffic and visible support for your cause in the form of comments and other forms of engagement. Best of all, it is very low cost. Referrals from sites like Digg and StumbleUpon can be longer lasting than search engine results. But you should be aware that it may take a while before you have the ability to leverage your connections on these networks in order to generate large waves of web traffic. Finally, it's easy to get started! I put the word out on Twitter asking for nitty gritty practical tips using Digg, Stumbledupon, Twitter, Friendfeed as well as some general tips. Wow, this section has come together beautifully - thanks to Suewaters, Jonathan Colman, Laura Lee Dooley, Jeff Gates, and several other wiki participants who did not register so can't thank them personally. I'm sharing these below. Try hard not to send too many self-promotional emails or make too many posts of just your own content. Wrap your self-promotion in something of value to others, instead. Sometimes, just doing really good work is worthy of others promoting you. Try it! But, we don't have a single tip for using FriendFeed? Can you help us out? Leave your best tip for FriendFeed, or point us to a good tip sheet. Leave a comment or add to the wiki. The WeAreMedia project has been discussing and building six tactical modules on social media - the practice tips and resources you need before you start to focus on the tools. Last week, we finished an awesome module on sharing your story social media style, filled with lots of stories, tips, and resources contributed by the community. For this week, Module 4: Spreading Awareness and Generating Buzz. Your content may be lively, but does it have life? The tips and techniques in module will help give you content legs. Social media tools can help you spread awareness and generate buzz about your organization's programs or campaigns. What happens is that you share your message with enthusiastic supporters and they in turn may choose to pass it to others with a similar a interest in your organization or campaign. Using social media to spread awareness is an excellent method for generating traffic. Best of all it is very low cost. Referrals from sites like Digg or StumbleUpon can be longer lasting than search engine results. What are your best tips for spreading buzz? What are some awesome examples from nonprofits? What are the best resources available - specifically we're looking for great primers on spreading buzz with Digg, StumbledUpon and Twitter. Leave a comment or just add it to the wiki. Last week, the WeAreMedia project discussed and built Module 3: Sharing Your Story Social Media Style. I put the call out for some case studies and Carie Lewis, the HSUS, Social Media Rock Star, took the time to share her story about the success and challenges of LOLseals. 1. What was the LOLseals Photo Caption Contest? It was a photo caption contest based on the popular LOLcats site where users share photos of Cute Cats with funny captions. 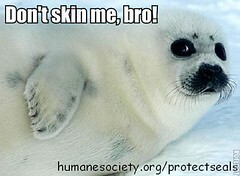 The Humane Society's LOLseals Photo Caption Contest offered cut photos of little baby harp seals and asked people to come up with cute, endearing, and funny captions that celebrated the cuteness of seals. The campaign also urged people to learn more about how to protect these adorable creatures and get engaged with the campaign. 2. What was your strategy for getting people to participate? We learned from a previous photo contest that flopped that if you make it hard for people to figure out how to participate and time consuming, they won't. We provided the photos and an easy way to caption them - so it didn't take a lot of time to participate and it was fun. We also spread the word via social networks and blogger outreach. We have a significant presence built up over the last 18-24 months on major sites like Facebook and Myspace. 3. What were some of the interesting responses? What were some of the challenges? Some people didn’t “get” the LOLspeak… and they wrote serious captions! The biggest challenge was making it as easy as possible for people to participate. We learned with the Wendy’s campaign that you’ve GOT to make it easy. Before, we asked people to upload their photo and tag it themselves, which meant they had to create a flickr account and know what “tagging” was. In using the API, everything was automatic, tagged, and uploaded without the user having to even touch flickr. We were also able to capture email addresses directly to our CRM this way. 4. What you would say made the campaign particularly innovative? 5. What were some top line results? We had about 3,000 submissions and it helped get about 2,000 new email addresses.